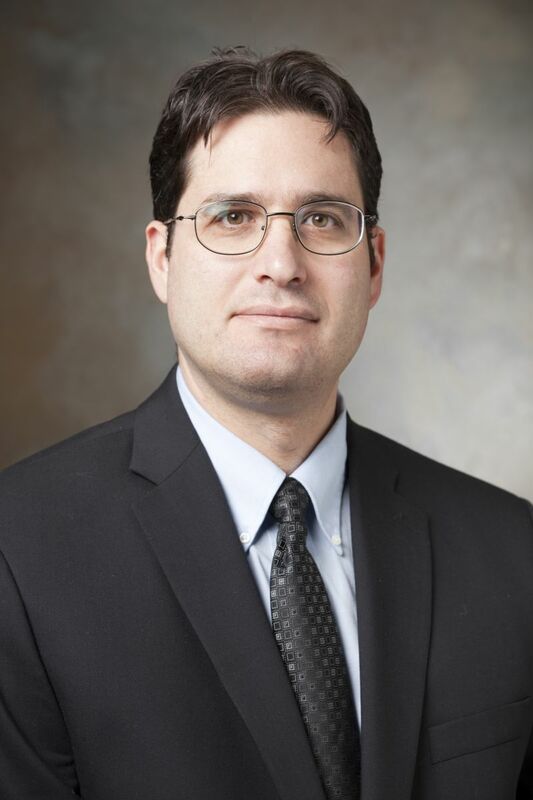 Daniel Morgensztern, MD, is an associate professor at Washington University School of Medicine and Director of Thoracic Medical Oncology. He graduated from FTE Souza Marques in Brazil followed, by a residency in internal medicine and a fellowship in hematology-oncology at the University of Miami School of Medicine. Among Dr. Morgensztern’s awards are the first place in the Doctor’s Dilemma Competition from the American College of Physicians in Florida, Young Investigator Award from the American Society of Clinical Oncology, American Society of Clinical Oncology Merit Award, David S Fischer Award for Outstanding Teaching and Mentoring Fellows in Medical Oncology at the Yale Cancer Center, and Teacher of the Year award for the Hematology-Oncology Fellowship Program at Washington University. This activity has been planned and implemented in accordance with the accreditation requirements and policies of the Accreditation Council for Continuing Medical Education (ACCME) through the joint providership of Postgraduate Institute for Medicine and RMEI Medical Education, LLC. The Postgraduate Institute for Medicine is accredited by the ACCME to provide continuing medical education for physicians. Daniel Morgensztern, MD, has affiliations with BMS and Genentech (Consulting Fees). The following PIM planners and managers, Judi Smelker-Mitchek, RN, BSN, Trace Hutchison, PharmD, Samantha Mattiucci, PharmD, CHCP, and Jan Schultz, MSN, RN, CHCP, hereby state that they or their spouse/life partner do not have any financial relationships or relationships to products or devices with any commercial interest related to the content of this activity of any amount during the past 12 months. This activity is supported by independent educational grants from Genentech and Lilly. Physicians, nurse practitioners, and physician assistants who successfully complete the post-test and evaluation will receive CME credit. You must score 75% or higher on the post-test to receive credit for this activity. All other participants who successfully complete the post-test and evaluation will receive a certificate of participation.